Truphena Owuor is a speech-language pathologist in Kansas City, MO. Practice Type: • Elementary School Practice Areas: • Speech Language Pathology • Speech Therapy Take the next step and contact Truphena Owuor for a consultation in Kansas City, MO or to get more information. Natalie Krause is a speech-language pathologist in Kansas City, MO. 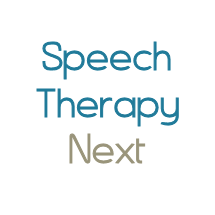 Practice Type: • Pediatric Hospital Practice Areas: • Speech Language Pathology Take the next step and contact Natalie Krause for a consultation in Kansas City, MO or to get more information. Braxton Baker is a speech-language pathologist in Kansas City, MO. Practice Type: • Home Health Agency - Client's Home Practice Areas: • Speech Language Pathology • Speech Therapy Take the next step and contact Braxton Baker for a consultation in Kansas City, MO or to get more information. Stacy Pate is a speech-language pathologist in Prairie Village, KS. Practice Type: • Speech-Language Treatment Center/Clinic Practice Areas: • Speech Language Pathology • Autism • Language acquisition disorders Take the next step and contact Stacy Pate for a consultation in Prairie Village, KS or to get more information. Cheryl Spurgeon is a speech-language pathologist in Independence, MO. Practice Type: • Self-Employed Practice Areas: • Speech Language Pathology • Orofacial Myofunctional Disorders • Swallowing disorders Take the next step and contact Cheryl Spurgeon for a consultation in Independence, MO or to get more information. Dawn Dulaban is a speech-language pathologist in Blue Springs, MO. Practice Type: • Health Agency Practice Areas: • Speech Language Pathology Take the next step and contact Dawn Dulaban for a consultation in Blue Springs, MO or to get more information.